Future Soul Records (FSR) is a soul-fueled independent label which aims to bring the quality sounds of the underground to the forefront. Darren Benjamin aka Daz-I-Kue and Mikey Greenleaf – the guys behind the label – are driven by a genuine passion for soulful music, and the desire to ensure that the music released on the label is going to please the ears of even the most discerning music connoisseurs. Daz-I-Kue, West London lynch-pin for the Bugz in the Attic crew, was the next on board for the label, bringing with him an impressive discography as proof of his skills and his impressive discography as proof of his skills and his valuable experience within the scene. Seattle based Mikey Greenleaf developed an appreciation of future soul music thanks to the likes of 4hero and Jazzanova, musicians that opened his ears to a new wave of soul music. As a founder of the SunTzu Sound crew based in Seattle, Mikey had the chance to Promote/DJ alongside many of his favorite artists. The label kicked off with a timeless track, ‘Nightlife’ by John Arnold and Jeremy Ellis and was followed by a beautiful full length album from Joy Jones, ‘Godchild.’ Next up is an album by Andrea Clarke and Daz-I-Kue, ‘Supahero’ with more soulful goodness from Ezel, D’n’S and Joy Jones planned for the near future. When you’re given your first vinyl record (“I Want You Back” by the Jackson 5) at the age of five, you know you’re off to a good start… And for Darren Benjamin aka Daz-I-Kue, it was an early and valuable introduction to soul music. Aged just 14, Londoner Daz formed the Funchbunch Sound System with an old school friend, and small scale gigs led to bigger things with the Soundsystem rockin’ the Notting Hill Carnival in 1989 – a gig which still runs each year! In the early nineties Daz took an engineering course to learn more about the technical side of creating music and invested in some decent production equipment. Soon enough, Daz began to release his own productions on vinyl. Projects for him included a jungle remix and working with indie dance label, Slip ‘n Slide’ as their in-house engineer. Through his work, he met with fellow producers Orin Walter aka Afronaut and the mighty Phil Asher and, a bit later, IG Culture. 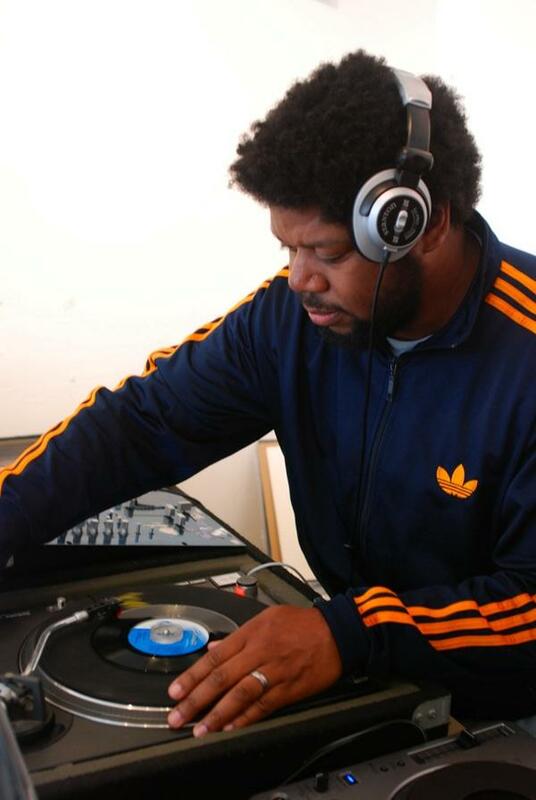 As part of Bugz in the Attic, Daz had a long-standing residency at legendary future soul club Co-Op in London and went on to play a key role in the success of the Co-Op Miami Winter Music Conference parties held between 2006 and 2008. Bugz released an album, ‘Back in the Doghouse’ of which Daz was responsible for co-production as well as helping to ensure the live Bugz gigs blew up venues around the world. In 2008 Daz-I-Kue started a new chapter of his life when he moved to Atlanta USA. London’s loss is certainly Atlanta’s gain and Daz is able to work on new projects and make his mark across the pond.